Does a policeman have to be wearing their helmet to be able to fine you? We look at the laws around speeding, fines, and penalty points. Did you know that more than 7.6 million speeding tickets have been issued since 2011? In fact, according to RAC figures, one in seven UK drivers has been caught speeding, so it’s no surprise that speed offences are the most common driving conviction. Before we look at the facts, let's not forget why speed restrictions are a good idea. According to the government’s Think! road safety campaign, 3,064 people were killed or seriously injured in crashes where speed was a factor in 2013, and the risk of death is approximately four times higher when a pedestrian is hit at 40mph than at 30mph. 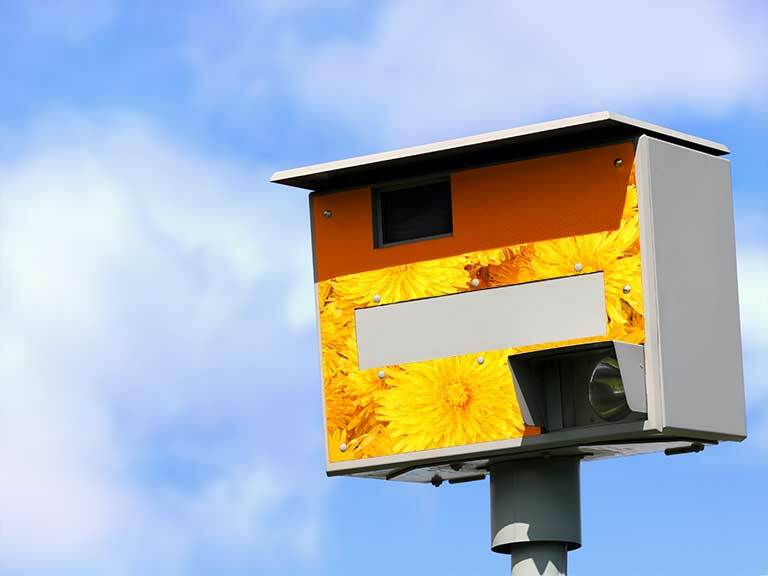 Speed cameras are the most common way to be caught speeding in the UK. There will be a couple of flashes as you pass if you’ve been caught by the infamous yellow boxes. There were various other types of speed camera, such as black "stealth cameras", installed on sections of the M25, but the government announced that all motorway speed cameras must be painted yellow by October 2016. Another type of fixed speed camera uses strips on the road's surface to trigger the device when a vehicle passes too fast over them. Often on motorways, these are erected high up at set intervals and look more like CCTV cameras. Using an automatic number plate recognition (ANPR) system to record a vehicle's front number plate at each fixed camera site, the average speed can be calculated between two points. Mobile speed cameras are special vans with yellow markings that are sometimes parked up beside the road with a camera pointing out of the back windows. Handily, local papers often publish mobile speed camera locations for the week ahead. Used by roadside police officers, hand-held speed guns are pointed at oncoming cars and they are able to give an instant speed reading. If you’ve exceeded the speed limit, you’re likely to be pulled over. Officers spotting a speeding car might follow it, and using an in-car camera system, they are able to record your speed, then pull you over if you’ve exceeded the limit. If a car is caught speeding, the registered keeper will receive a Notice of Intended Prosecution (NIP) detailing the offence, and a document called a Section 172 notice. The police must serve an NIP within 14 days of the alleged speeding offence. You must then respond within 28 days, using the Section 172 notice to nominate the person who was driving at the time of the alleged speeding offence. Refusal to comply could result in six points on your licence and a fine of up to £1,000. And don’t be tempted to get your passenger to accept responsibility for the offence. The highest profile case recently involved former Cabinet Minister Chris Huhne and his ex-wife, Vicky Pryce, who were both jailed for eight months in 2013 for perverting the course of justice over an arrangement 10 years before in which Pryce took speeding points for the former Liberal Democrat MP. Offer you the chance to attend a speed-awareness course, which will take up your time and cost you money. In 2015, the number of drivers that opted for a National Driver Offender Retraining Scheme (NDORS) speed awareness course rather than accept penalty points on their driving licence was 1,207,570, according to the RAC Foundation. New breed of motorway cameras will show speeding motorists no mercy. How do the police decide whether to prosecute? Guidance issued by the National Police Chiefs Council (NPCC) suggests speeding drivers should be given some leeway. The NPCC believes enforcement action should be taken against speeding motorists when the relevant speed limit is exceeded by 10% plus 2mph. However, this is for guidance purposes only – a police officer has the discretion to act outside it. Some drivers wrongly interpret it to mean that they can legally exceed the speed limit – this is definitely not the case. In cases where the speed limit is exceeded by a significant amount, then the police may decide to bring a prosecution before the magistrates’ court (ie issue a summons). Is it illegal to text while driving? We look at the laws around mobile phones and driving. According to a recent Freedom of Information request by Auto Express magazine, 1.6 million tickets were issued in 2015 – the highest in the last five years. But it was also the least successful year for appeals, with just 7.6% overturned. In 2014, drivers had a success rate of 9.2%. However, the research also revealed that drivers in Sussex are least likely to have speeding fines waived, while Londoners are twice as likely. Almost a fifth (17.4%) of speeding camera fines appealed in the capital are successful, with motorists in Northamptonshire coming a close second (16.8%) and Greater Manchester third (13.6%). Unfortunately for Sussex drivers, there was only a 0.4% chance of their fine being waived by authorities. Many motorists challenged fines because the camera misread the number plate, the cars in question were stolen or the fined driver proved they weren’t driving at the time. Have you heard about the petrol and rings scam? 1. You can't be prosecuted because there are no white lines on the road before or after the speed camera. WRONG: Many speed cameras operate without accompanying road markings. 2. You don't need to tell your car insurance company if you have less than six points on your licence. 3. If your number plates are unreadable because they are dirty, speed cameras will not be able to identify you. WRONG: The Road Vehicles (Display of Registration Marks) Regulations 2001 makes it an offence to drive a motor vehicle with dirty number plates on a public road and you could be fined up to £1,000. In other words, you're more likely to receive a fixed penalty notice on your car or get pulled over by the police before you even reach a speed camera. 4. 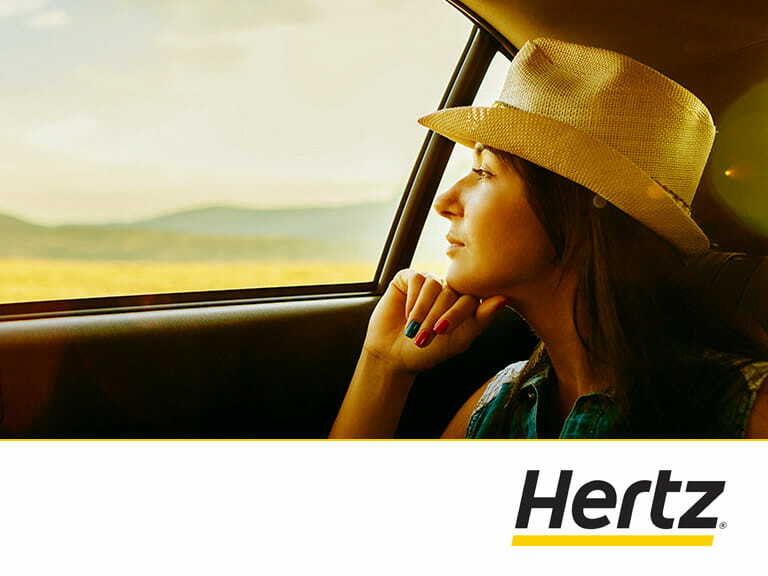 You won't get points on your licence if you're caught speeding in a hire car. WRONG: The hire company must tell the authorities the name of the person who was renting the car at the time of the offence. 5. It's not an offence to flash your lights to warn other motorists of a police speed trap ahead. WRONG: You may think you’re doing other drivers a favour, but you could find yourself being prosecuted for obstructing a police officer. 6. A police officer must be wearing his or her helmet in order to book you for a speeding offence. WRONG: A police officer just has to be recognisable as a member of the police force. 7. You can't be fined for driving too slowly. WRONG: Although there is no minimum speed limit on the majority of UK roads, you can still be fined for driving too slowly if you are deemed to be hazard to other road users. A verbal warning is more likely, but in more serious instances, you could find yourself in court charged with driving without due care and attention or without reasonable consideration for other road users. 8. There were no camera warning signs on the mobile speed camera van so you cannot be prosecuted for speeding. WRONG: The black and white camera warning symbols are also not a legal requirement. Gareth Herincx is a motoring correspondent for Saga Magazine. Read his latest articles.